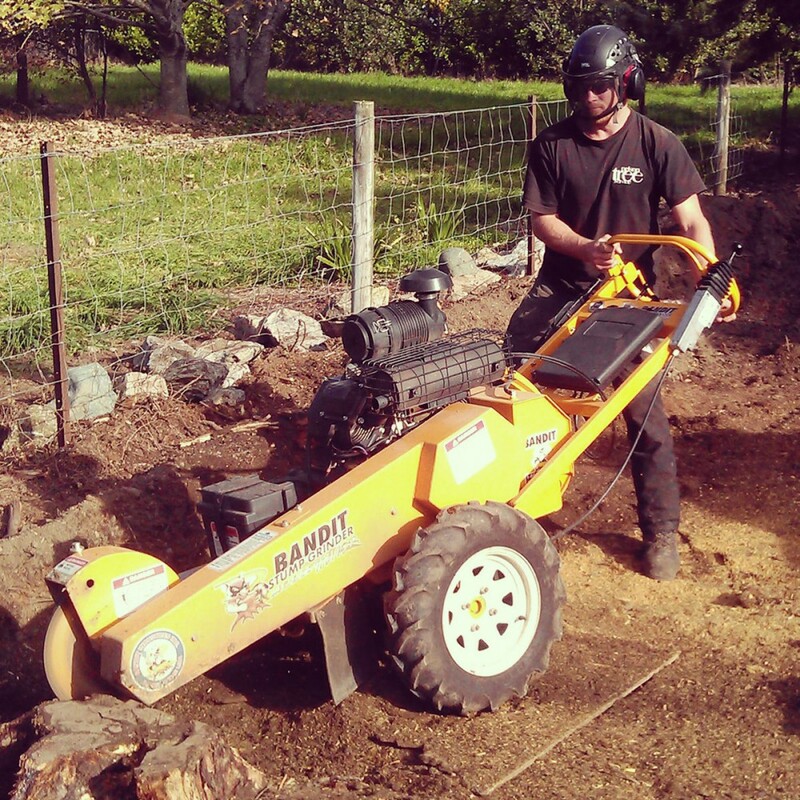 Nelson Tree Specialists has leading edge equipment for stump removal in the middle of front lawns to gentle slopes. Our lawn-friendly stump grinding machine will grind your stumps 250mm below current ground levels. When the job is complete, you will be left with a neat and tidy appearance, as we ensure the stump removal mulch is backfilled in the original hole. You may also be able to re-plant in the same spot with some new top soil to fill instead. Exposed surface roots may also be stump grinded out upon request.